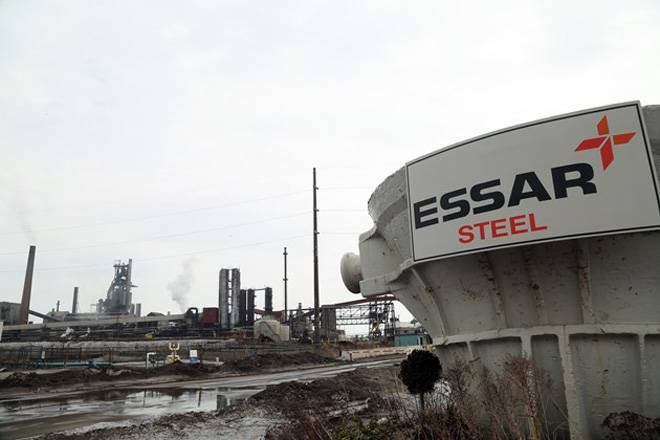 The National Company Law Appellate Tribunal on Monday directed the NCLT Ahmedabad bench to take a final decision over ArcelorMittal's Rs 42,000 crore resolution plan for Essar Steel by February 11, failing which it would call records and pass order accordingly. A two-member bench headed by Justice S J Mukhopadhaya has directed to list the matter on February 12. "If no order is passed by 11th February, 2019, this Appellate Tribunal may call for records and pass appropriate order under Section 31 of the I&B Code," said the National Company Law Appellate Tribunal (NCLAT). The NCLAT said that a "detailed hearing is not required to be given including all the creditors" by the Ahemdabad bench and "it should be completed within five days". The appellate tribunal has directed the NCLT to give hearing only to the representative of the operational creditors of debt ridden Essar Steel and pass order "on an early date" as per its previous order passed by it on January 23. The NCLAT also directed to give limited hearings to the promoters of the Essar Steel but asked to complete the entire process within next five days. "Further, taking into consideration the interest of the promoters, NCLT may provide the promoters limited hearing but it should be completed within five days. A detailed hearing is not required to be given including all the creditors," said the appellate tribunal. In its order, the NCLAT has also directed NCLT to also hear the Standard Chartered Bank, which is opposing the resolution plan approved by the Committee of Creditor (CoC) of Essar Steel and the resolution professional of the company. "Further, the dissenting member of the CoC (Standard Chartered Bank herein) having raised objection to the resolution plan, it should be given hearing before passing any final order," NCLAT order said. Standard Chartered Bank, the third-largest secured financial creditor of Essar Steel, has filed plea before the NCLT alleging that the resolution plan does not comply with the Insolvency and Bankruptcy Code. The NCLAT direction came after an application filed by ArcelorMittal, whose Rs 42,000 crore takeover proposal of the indebted steel-maker has been approved by the CoC and is pending before the NCLT for approval. Meanwhile, Prashant Ruia, along with Essar Steel directors, has moved the Ahmedabad bench of the NCLT on February 1, citing the January 31 order of the Supreme Court. This fresh move by the Essar Steel directors came after the NCLT-Ahmedabad had on January 29 rejected the debt settlement proposal put forth by the Essar Steel Asia Holdings despite it being much higher at Rs 54,389 crore than the former’s Rs 42,000-crore bid, citing the January 31 Supreme Court judgement in the Ruchi Soya case. The new petition before the NCLT was moved on February 1 by former managing director of Essar Steel Dilip Oommen along with its project director Rajiv Kumar Bhatnagar and Ruia as well. According to the new petition, though Oommen and Bhatnagar were removed after the insolvency process began, they still continue to be part of the day-to-day management of Essar Steel and hold the designations of managing director and director (projects), respectively. The NCLT bench comprising Manorama Kumari and Harihar Prakash Chaturvedi said it would decide on Tuesday whether the petition will be admitted or not. The Supreme Court had order on January 31 in the Ruchi Soya case said that the suspended board of directors were required to be included in the all deliberations by the CoC, including the discussions of resolution plans, which are to be voted upon. While claiming that such a process, as prescribed by the SC on January 31, was not followed in the Essar Steel case, the directors sought to quash and set aside the lenders’ decision to accept ArcelorMittal’s lower bid to take over Essar Steel. The applicants also urged the tribunal to direct the resolution professional of Essar Steel to convene a meeting of the committee of creditors, wherein the resolution plans submitted by the potential resolution applicants be deliberated and discussed afresh and thereafter voted upon. In addition, the applicants urged the NCLT "to direct the RP to provide the applicants with copies of all the resolution plans submitted for by potential resolution applicants for the resolution of the case". The case of Essar Steel, which runs a 10-million-tonne steel mill in Gujarat, has been going on much beyond the mandated 270 days.